DALLAS, TX--(Marketwired - Dec 12, 2016) - Paragon Software Systems, Inc., a leader in vehicle routing and scheduling optimization solutions, announces the latest version of its award-winning interactive User Guide to help customers make the most of its market leading routing and scheduling software. The browser-based tool incorporates a host of smart support features including a sophisticated dynamic help function, which will initially be available for the recently-introduced Route Control application before being rolled out to other modules within Paragon's transport planning system. "We have designed our latest User Guide to be as visually intuitive as possible, providing our customers with the ability to find out exactly what they need to know, when they need it," says William Salter, CEO and President at Paragon Software Systems. "We have a wide range of users with diverse delivery route planning experience and levels of technical expertise, so we needed a solution that was easily searchable with a logical structure to meet these differing needs and provide multiple ways of accessing the required information." The dynamic help function will automatically track the activity of the user, making sure relevant information is immediately on hand should it be required. Route Control -- software functionality that helps transport operators to build routes that comply with time-sensitive route restrictions -- will be the first module to feature this innovative tool. It also includes a series of embedded animated tutorials to provide guidance on key topics to help with and simplify set-up and ongoing transport planning. "This latest development will complement our specialist hotline and customer knowledge bank, Paragon World, providing easy access to useful advice and assistance on many of the most common operational issues faced by our customers. Everything we do is aimed at helping road transport operators maximize fleet efficiency and service levels, so it is critical that our functionally-rich delivery routing software is backed up with the highest levels of presale, implementation and support," concludes Salter. 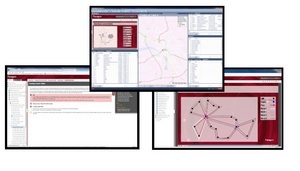 The introduction of the dynamic User Guide coincides with the launch of the latest version of Paragon's advanced routing and scheduling software. Version 6.0 offers a series of enhancements across both the Planning and Paragon Live modules to provide customers with unrivalled transport planning capabilities and operational insight. Paragon Software Systems, Inc., based in Dallas, Texas, is a leading provider of truck routing and scheduling software solutions. Paragon's advanced planning systems have been proven to cut transportation costs and improve efficiency across a wide range of distribution operation types and industry sectors. Paragon's North American truck routing software clients include George's Inc., AgReliant Genetics, Linde, McLane, National Food Corporation, and many others. The software is used for the daily route optimization of transportation schedules; rationalizing fixed routes; managing transportation resources; strategic logistics planning; and managing home delivery orders with dynamic routing. Paragon Software Systems, Inc. is a wholly owned subsidiary of Paragon Software Systems plc, the UK's number one provider of transportation routing and scheduling software. Paragon has over 3,300 systems installed at more than 1,000 client sites in 50 countries worldwide. For more information, visit: http://www.paragontruckrouting.com.